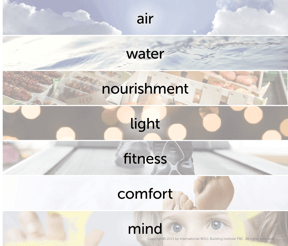 The WELL Building Standard is an evidence-based system for measuring, certifying, and monitoring the performance of building features that impact health and well-being. WELL builds on LEED. It starts where LEED left off. Integrating the performance thresholds after the design/prescriptive green building work was done. Additionally, behavior and human resource optimization for wellness are addressed in the Standard. WELL and LEED compliment and don’t compete. WELL is administered by the International WELL Building Institute (IWBI), a public benefit corporation whose mission is to improve human health and well-being through the built environment. Early adopters include financial institutions, owner-occupied real estate, and also new construction that is doing LEED Platinum and wants to add on WELL. By integrating more wellness into the built environment, we encourage healthy lifestyles. The business case is made for lower health insurance premiums, less absenteeism, higher productivity, and more. WELL Building Standard is grounded in research. Medical, scientific, and building system research. How can building systems improve health systems? Paul Scialla at Delos pioneered this standard and when he says they took architects and doctors and put them in a room, they really did! Continued work with the Mayo and Cleveland Clinics, for example, add credibility to each feature within the WELL Building Standard. Costs vary based on project upgrade needs at new construction or in the operations phase. The soft cost/certification/WELL Assessor fees can be calculated here: https://wellonline.wellcertified.com/node/add/pricing. The cost conversation needs to be not just on the normal real estate (design/construction or operations) side of a company’s decision-making, but also include Human Resources and Marketing budgets, also. Most companies spend $700 per employee per year on wellness programs, for example. To cover the initial WELL certification costs, a company would want to look across the board. Buildings/projects get certified. People get accredited. WELL Certification is achieved when projects demonstrate all Preconditions. WELL provides flexibility when selecting Features (like LEED credits) that best meet the project?s goals. WELL Certification is based on performance and requires a passing score in each of the seven categories of the WELL Building Standard. WELL Certification is awarded at one of three levels: Silver, Gold, and Platinum. To earn Silver, you have to meet all of the preconditions. To earn Gold, you have to earn 40% of the applicable optimizations, as well as all preconditions. To earn Platinum, you have to earn 80% of the applicable optimizations, as well as all preconditions. Currently, New/Existing Buildings | New/Existing Interiors | and Core + Shell are the three main building types that can earn WELL Certification. There are additional building/space types in pilot now that you can utilize. To become a WELL AP, all candidates must pass the 100-question multiple choice WELL AP exam, administered by GBCI, taken at Prometric testing centers. The exam is designed to test a candidate’s competency to perform the duties on a WELL Certification project. The exam is based on the expertise of leading practitioners in the field of design, health, and wellness in the built environment. It is a closed-booked professional credential exam that you do need to study for to pass. 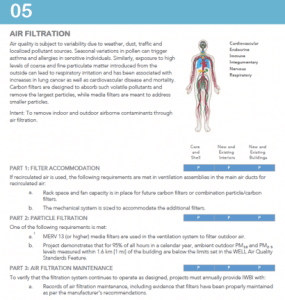 Most of you coming from a green building/LEED background will already have a headstart and a lot of terminology out of the way, BUT there are a lot of health statistics and body system information you have to learn. The good news is that you don?t have to be a LEED AP to take the WELL AP exam. Our advice ? get this hot credential now and show you are an early advocate and it will help your career and your company as the IWBI and GBCI/USGBC push WELL to further success! 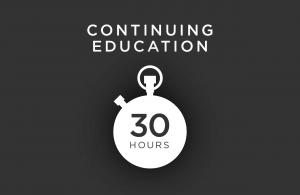 GBES has helped over 100,000 professionals (and students) prepare for LEED professional credential exams since 2007. We are experts. Our WELL practice tests are built on the same industry-leading exam simulator and are WELL customers are loving how realistic our questions are as they study and pass! 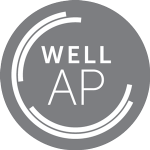 Are you Ready to become a WELL AP?